Buying a property in Bristol? We will only show you properties carefully chosen to meet your specific requirements, saving you the time and effort of looking through unsuitable details. We always accompany our prospective purchasers so that we can fully understand their requirements. Our Years of experience ensure purchase arrangements run smoothly and painlessly. 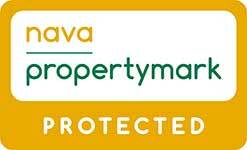 Please go to Register for Details so we may contact you when suitable properties become available. To arrange a viewing, please Contact Us. When buying a house it is so important to check it is the right one for you. There are several points you must consider before proceeding with any house purchase. We have drawn up this guide to assist you. It's human nature to try to strike a deal, but if you find your ideal home and it seems to be priced correctly, consider offering the full asking price. This means you'll be taken seriously, there won't be any time-wasting and it will lessen the possibility of another party stepping in - or gazumping you. One in three property chains fall apart. This can happen for numerous reasons, from one party not having their finances in order, to an unpleasant surprise in the survey. The best way to ensure a chain progresses smoothly is through good communication. Stay in regular contact with your conveyancer and estate agent to make sure everything possible is being done to speed things along. It can also help to stay flexible. Be prepared to move in with your family or rent as a short-term measure if it means you can keep the chain going. Gazumping - outbidding rivals at the last minute - is a horror estate agents are powerless to stop (even if they wanted to!). Unless you're lucky enough to live in Scotland where there are laws to protect the buyer. 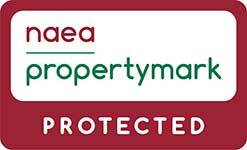 Under the Estate Agency Act, estate agents are obliged to pass on all offers they receive. Offer the full asking price and request that the property is removed from the market as soon as your offer is accepted. Be flexible with the vendor and don't quibble over minor points. Make it clear you're willing to complete on their timescale, not yours. Be nice to the vendor - if you've established some kind of relationship with them, it should be harder for them to let you down. Take out insurance - you must do this before you instruct your solicitor, but then if you're gazumped, you can be refunded the cost of your various fees. Stamp Duty is charged at different rates depending on the portion of the purchase price that falls into each rate band. It is important to get this as early as possible as a delay in a Mortgage offer can result in the loss of your purchase. Call us on 949 9000 and we can put you in touch with independent financial advisors. As a firm of RICS surveyors we able to offer advice on property purchase and carry out the following surveys. This is a standard RICS survey report designed to give an economical package to house purchasers who require basic information about the property they intend to buy. It is suitable for modern properties which appear in good order. Designed specifically by Maggs + Allen to report on properties in the Bristol area, in particular Victorian properties, to enable clients to make an informed decision about their purchase. It is based upon more detailed information than is available in a Homebuyers but in a more user-friendly format than a full Building Survey and at less cost. We like to speak to you where possible to discuss the results of the survey and provide additional advice relevant to your purchase. The most detailed report available. It can be carried out on all house types but is aimed at pre 1880 properties which require additional inspection time due to their age and condition. The report will provide detailed information about the structure and photographs will be included. The surveyor will also speak to you to discuss the results of the survey.